Drum Forum Drums My Life Show Us Your Kit! You have a Kit that You're proud of it? We want to see it! Just having a little fun in rehearsal. I haven't played metal for a year and a half and decided to go all out!! I think im using this for some time now! PDP FS in Tobacco Burst. 20" Paiste Alpha Full Ride. 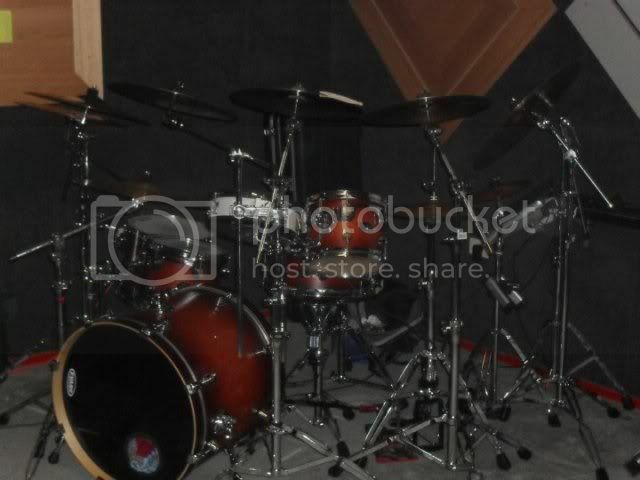 And yes there is a broken stick on the cymbal.....i dont play with it there. bash, bang, slam, whatever, yeah, ima drummer. ive always wanted to mix acoustic and electric together. I sometimes use that as a floor tom on my left side but wanted to see how it would go as a rack tom. It works out pretty well actually i found. tell me how the 20002 power ride sounds? hmmm, would it be good for around 80's metal music? i play a lot of old school thrash metal and i love it! alright cool bro, thanks man. Wow, I love everything about this setup! 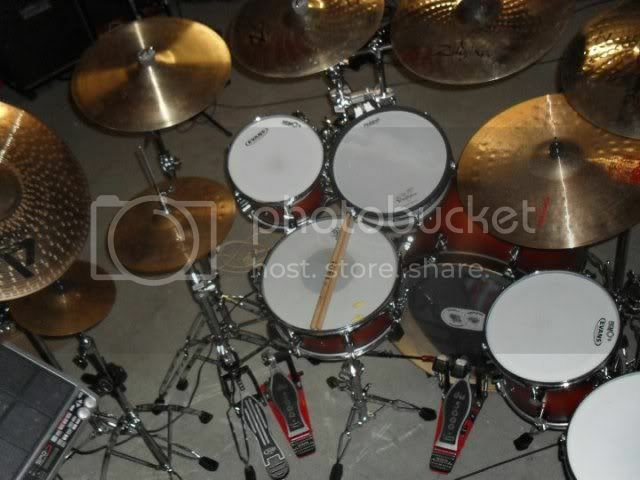 Comfortable, nice heads, great cymbals and a nice finish. Congrats!